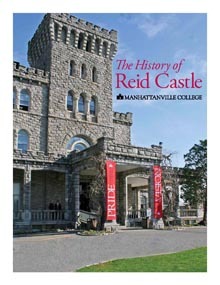 "The History of Reid Castle"
A new document made in collaboration with the Office of Communications delving into the very interesting story of our castle and campus. Enjoy!" This collection features photographs, correspondence, memos, and periodicals documenting the Manhattanville community’s experience in social action from 1933 to 1966. Campus Buildings – What’s In A Name? A collection of photographs and history regarding the development of our campus.